Anabaena is found in all types of water. Blooms or massive growths can occur in waters with a lot of nutrients. These blooms discolor the water and give it a bad odor when the cells die and decay. They are one of four genera of cyarlobacteria that produce neurotoxins. These toxins are harmful to local wildlife, as well as farm animals and pets. Production of these neurotoxins is part of its symbiotic relationships. It protects the host plant from grazing pressure. A DNA sequencing project was undertaken in 1999. It mapped the complete genome of Anabaena. Its DNA is 7.2 million base pairs long. The study focused on heterocysts, which convert nitrogen into ammonia. 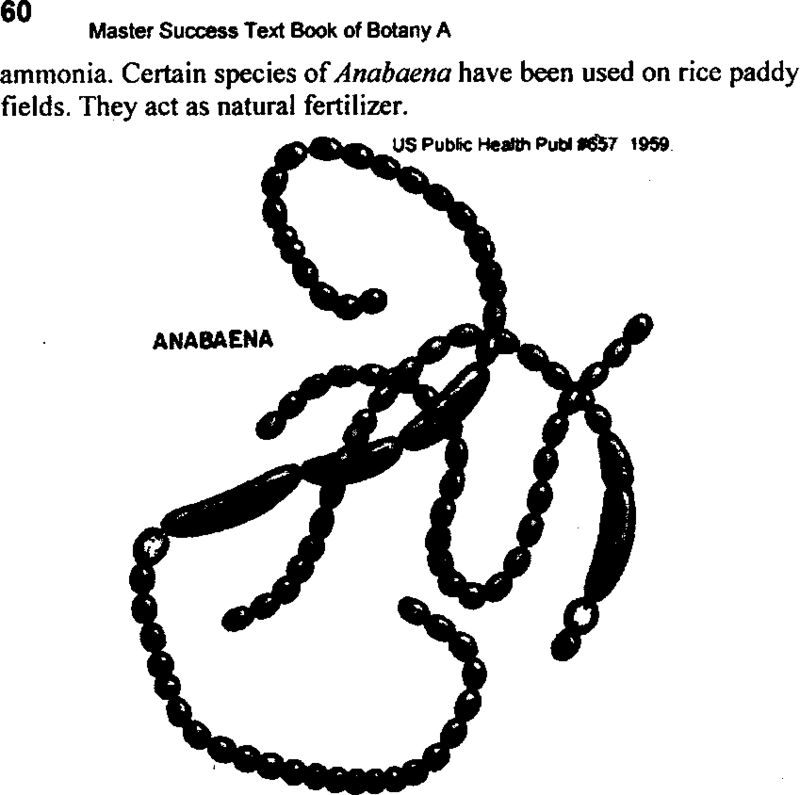 Certain species of Anabaena have been used on rice paddy fields. They act as natural fertilizer. It has filamentous structure. Its filament resembles the filament of Nostoc. Sometimes it becomes difficult to differentiate between trichomes of Nostoc and Anabaena. There is only one difference. 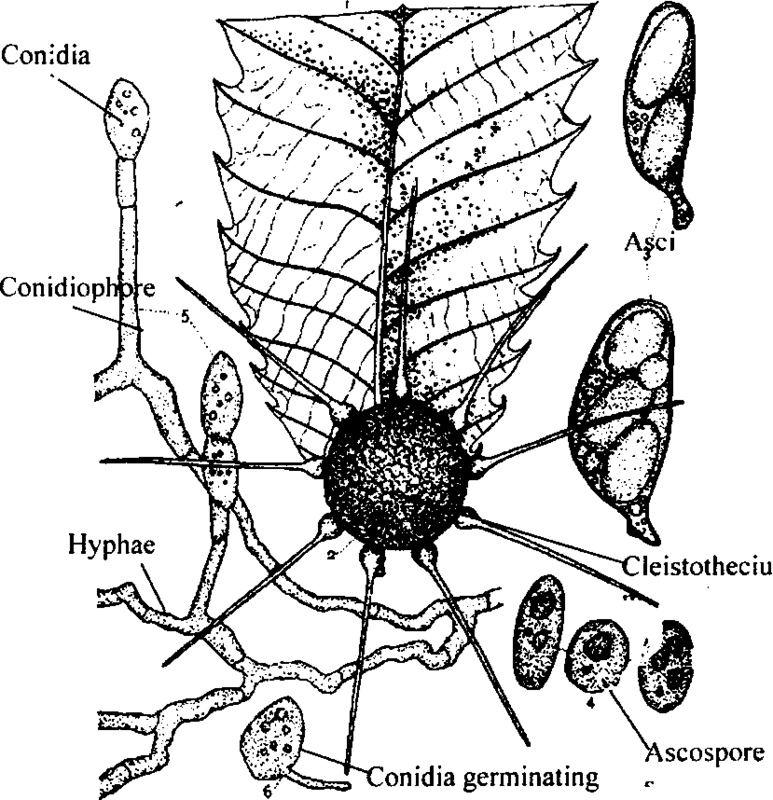 The filaments of Nostoc are covered by mucilage and form a colony. It is absent in Anabaena. 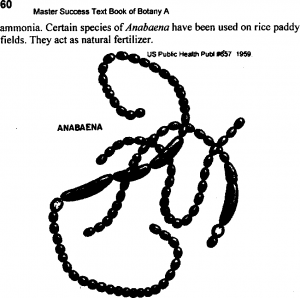 The filament of Anabaena consists of string of beaded cells. Several intercalary heterocysts are present in the trichome. 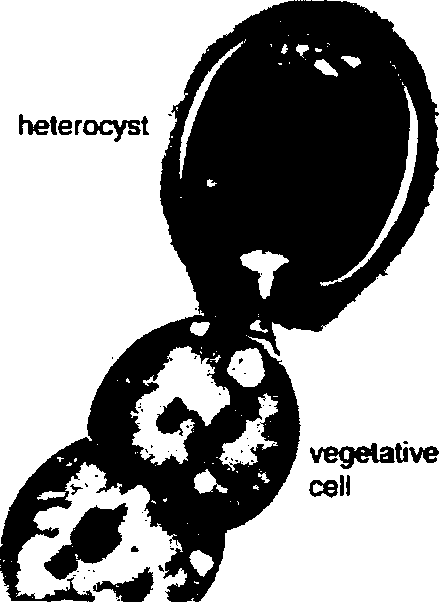 Heterocysts are of same shape as of vegetative cell. The filaments are ordinarily straight. But they may be circinate or irregular. Filaments occur singly within a sheath. Sheaths are always hyaline and watery gelatinous. I. Each cell has outer cell wall. This wall consists of three layers. The inner layer is thin cellular layer, medium is pectic layer and outer is mucilage layer. Protoplasm is composed of ‘Soo riafts. The peripheral part is called chromoplasm. It contains pigment. Hence it is colored. The central colourless part of protoplasm contains nucleus like material called central body or chromatin granules. Heterocysts are of same shape as of vegetative cell. 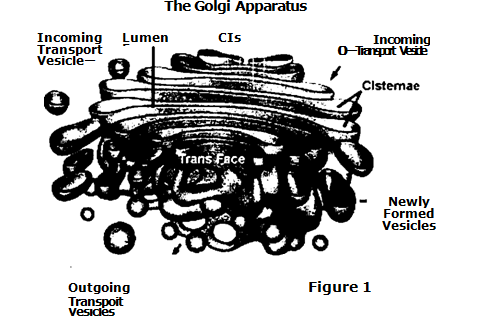 Golgi bodies, encoplasmic reticulum and mitochondria are absent in their cells. Heterocysts are the point at which the filament breaks into hormogones. Hormogones may also formed by the breaking of filament or decay of filament at some other points. 2. Akinetes formation: Akinetes are formed during unfavorable conditions. Akinetes are thick walled spores with a large amount of reserved food material. Their wall is two to three layers thick. They have granular protoplasm. Akinetes are capable of forming new filaments. The Akinetes can survive dry conditions. 3. Endospore formation: Endospores formation is rare in Anabaena. Dui ing times of low environmental nitrogen, about one cell out of every ten will differentiate into a heterocyst. lieterocysts then supply neighboring cells with fixed nitrogen in return for the products of photosynthesis. Such nitrogen fixing cell now can not perform photosynthesis. This separation of functions is essential. The nitrogen fixing enzyme in heterocysts is nitrogenase. It is unstable in the presence of oxygen. Nitrogenases are kept isolated from oxygen. Therefore, heterocysts have developed elements to maintain a low level of oxygen within the cell. The developing heterocyst builds three additional layers outside the cell wall. These layers prevent the entrance of oxygen into the cell. It gives heterocyst its characteristic enlarged and rounded appearance. Due to these adaptations, the rate of oxygen diffusion into heterocysts is 100 times lower than of vegetative cells. One layer creates an envelope polysaccharide layer. The nitrogen is fixed in this oxygen-restricted envelope. To lower the amount of oxygen within the cell, the presence of photosystem II is eliminated.